Destination weddings are the best because nothing can make you and your guests happier than the time away from the busy everyday life and familiar sights. And it’s not even that hard to arrange. 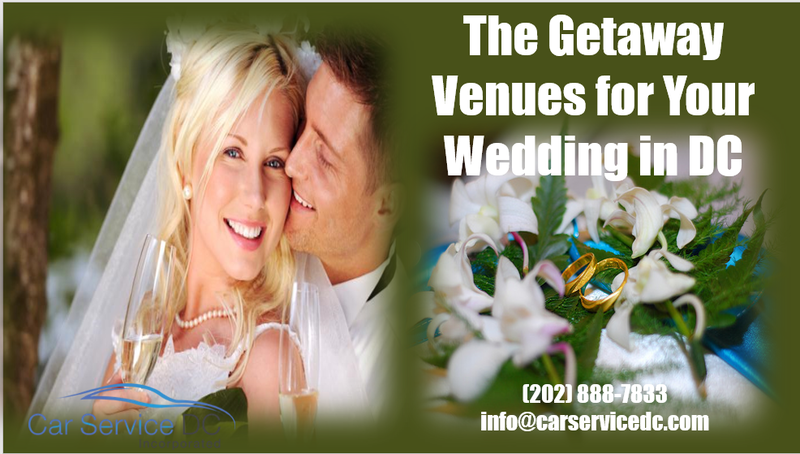 The only issue would be to get there, which can easily be managed through the help of Car Service Washington DC. This venue is a huge farmland spread over the expanse of 220 acres and have gorgeous waterfront views, gazebos, and a glass walled garden house for a splendid reception ceremony. The inn has twenty four guest rooms where you and your guests can enjoy carefree days with shopping of the surrounding antique shops. This venue is just the place to get wedded for those who love sophistication. The blue room in the venue is a magical place for dancing the night away with your horde of guests and an empire art-décor room for magnificent reception ceremony. Situated by the eastern shore of Chesapeake Bay and Miles River, this resort is just the place for a magical start to lifelong relationships. As if saying your vows on the riverfront is not exciting enough, the prospect ballroom allows for a splendid reception in its beautiful décor and dance floors, as well as scenic views.